Disclaimer: This is just a sample application and is not intended as a full working app. This sample will NOT work with CRM Online and requires the device to have access to the on-premise CRM. When the app loads it will prompt for credentials to the CRM organization. To get around these limitations, a proxy service would need to be built to interface with CRM. Windows 8 Developer Preview and Visual Studio 11 Express for Developer Preview were used to create this Windows 8 app (http://msdn.microsoft.com/en-us/windows/apps/br229516). The source code for this solution can be found at http://crm2011metrocontacts.codeplex.com/. The landingPage.html template just used a background color for the tiles which I switched to an image that populates from the Contact record. Next I updated the getGroups method in landingPage.js to just return a hardcode Contacts group instead of random fake data that the template uses. Then I updated the getItems method to retrieve all the active contacts in my CRM organization. First I use the template code that loops through all the groups (which is now just our hardcoded Contacts group). 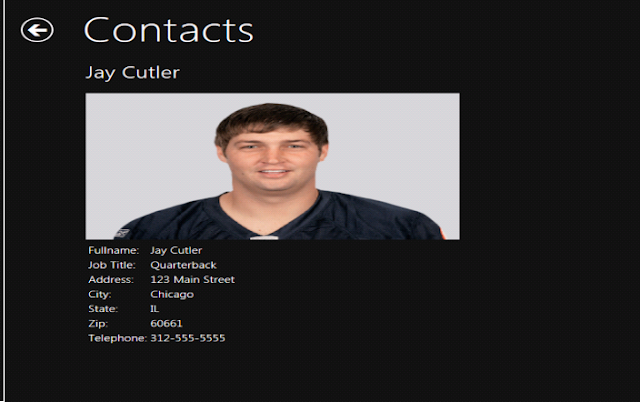 Then I use oDataMethods.js to retrieve all the active contacts. For each contact I add an item object to the items array. 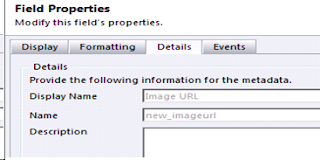 The items array is what is bound to the landingPage.html which will use the properties to display in the list view. When a contact is 'touched', it passes the specific contact object into the detailsPage.html which binds the largeImagePath and content property to display the specific information about that contact. toStaticHTML() is used to strip out any scripts that might be contained in the HTML to prevent malicious attacks, otherwise the app will not display the HTML. So there you have it. Although this demo is pretty simple, it only scratches the surface of the possibilities of interacting with CRM 2011 in a Windows 8 app. I'm excited to continue to learn about Windows 8 development and uncover more of those possibilities! hi,i hava some trouble with this demo. The console error:Unable to add dynamic content ' A script attempted to inject dynamic content, or elements previously modified dynamically, that might be unsafe. For example, using the innerHTML property to add script or malformed HTML will generate this exception. Use the toStaticHTML method to filter dynamic content, or explicitly create elements and attributes with a method such as createElement.